Tanaya Beatty was born in Vancouver, British Columbia, Canada. She is an actress, known for Yellowstone (2018), Through Black Spruce (2018) and Hostiles (2017). Paloma Guzmán is an actress, known for Person of Interest (2011), Confessions of a Shopaholic (2009) and Law & Order: Special Victims Unit (1999). Kelli Goss was born on February 1, 1992 in Valencia, California, USA as Kelli Amanda Goss. She is an actress, known for Grey's Anatomy (2005), United States of Tara (2009) and The Ranch (2016). Charlotte McKinney was born on August 6, 1993 in Orlando, Florida, USA as Charlotte Ann Mckinney. She is an actress, known for Flatliners (2017), Baywatch (2017) and The Late Bloomer (2016). Taylor Russell was born on July 18, 1994 in Vancouver, British Columbia, Canada. 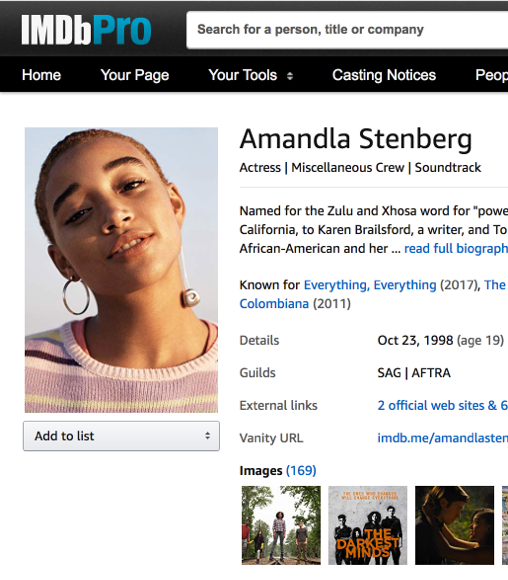 She is an actress, known for Lost in Space (2018) and Waves (2019). Violett Beane was born on May 18, 1996 in St. Petersburg, Florida, USA. She is an actress, known for God Friended Me (2018), The Flash (2014) and Truth or Dare (2018).